We were proud to host our first ever international partner dinner yesterday! We invited all of our new international employees and their partners and children to share an evening together in our café. Everyone brought along a specialty from their homeland to help us put together a diverse and international buffet of delicacies. 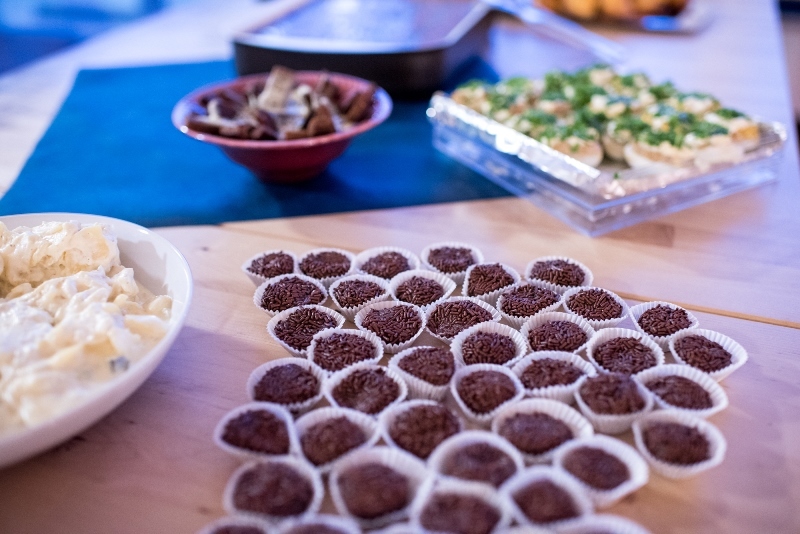 Brigadeiro from Brazil, jelly cake from the Ukraine, causa limeña from Peru, and even fried fish cutlets, a favorite in Sri Lanka, were set out for guests to enjoy. The evening came together as a result of the hard work and creativity of the onboarding and staff development teams. After a welcome from the hosts, guests were treated to a short language lesson. Those in attendance learned a few basic German phrases, in particular, some helpful vocabulary regarding food and groceries! Afterwards everyone helped themselves to the delicious international dishes and got to know each other better. 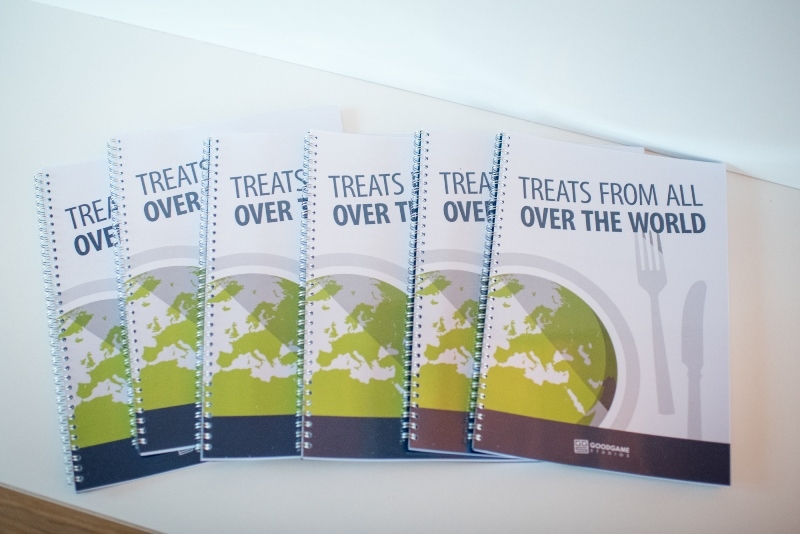 At the end of the evening, cookbooks with recipes of all the dishes were handed out just in case anyone wanted to try their hand at something new and take home a souvenir from the event. The guests also received a gift bag filled with care products from Kiehl’s. 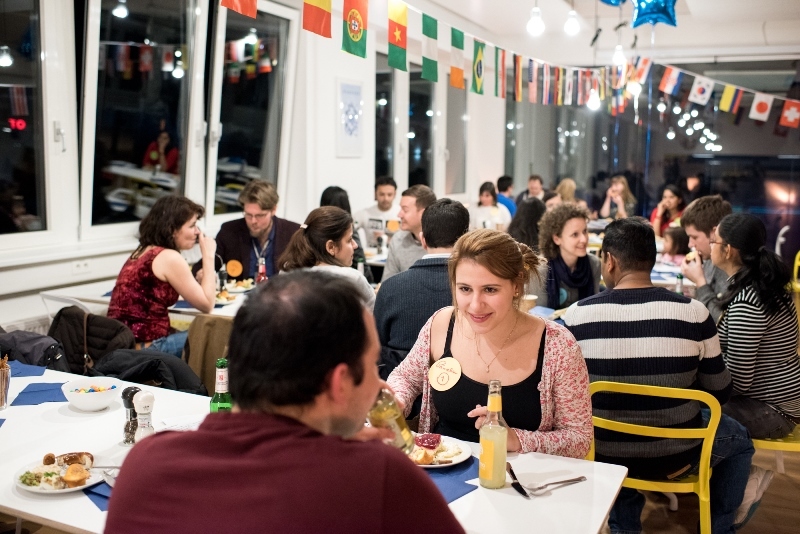 “We want to make it easier for our international colleagues and their families to start their new lives in Germany, and the partner dinner is the perfect platform for meeting new people from your country or from all around the world! It’s important to us that our employees, especially those coming from abroad, are also comfortable outside of the workplace and feel settled here in Hamburg,” said Lisa from our onboarding team.